looking for some quick advice, I was installing the smart dimmer in my bedroom and noticed my box contains three neutral wires. As the switch only has two inputs for the neutral , what is the best way to approach this? I searched the thread and someone said they were able to twist two of them and place it into one slot, but I am not having such luck. Last edited by AEmgee on Apr 16th, 2019 5:56 pm, edited 1 time in total. In order to do that you'd need to cap it with a new wire to connect into the switch. 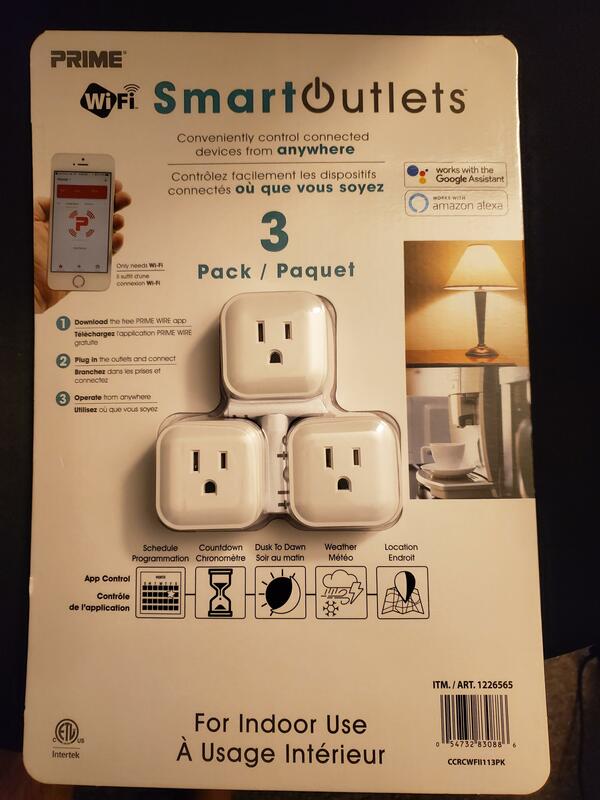 I use the Smart life app with these switches and plugs and not the Tuya app that it says to use and they work just fine with Google home. Any of these support energy monitoring? Based on screenshorts from the Prime Wire app, looks like another Tuya device ... although as @dealyou stated .. they definitely take up two slots, so less useful than the CE ones. Also no energy monitoring, but that's TBD since screenshots aren't always 100% accurate. But it's always good to see more choices so a welcome addition. Thanks for pointing it out. just as FYI, the wall switches don't come with any wires, you will need to buy electrical wire (white and neutral).